Enjoy traditional food, entertainment and an open beer and wine bar (with a special drink from Dreamchasers Brewery) while stepping back in time in an 18th-century tavern, Rough Edge; a place to kick back and dust off the rough edges of the road. 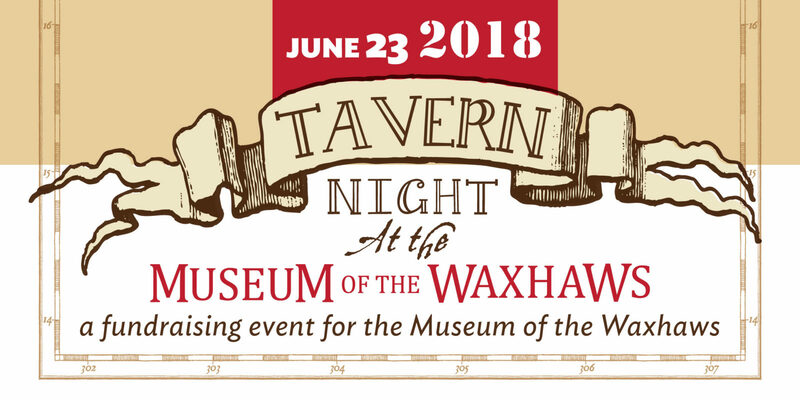 Share a meal and drinks, play card games, take a carriage ride, and tall tales with ladies and gentlemen from the period, including George Washington, as well as modern guests. Bid on silent auction items. Watch scenes from Waxhaw’s historic play, Listen & Remember. Period dress is not required nor discouraged! Did you know that the Union County community of Roughedge is named after a tavern called Rough Edge during colonial times? In Waxhaw, the tavern near the NC/SC border was Cureton’s; a place where legend holds that George Washington and Marquis de Lafayette both enjoyed a stay there. Unfortunately, one would be expected to share a bed with two or three other strangers if you paid to stay the night. Accordingly, it is no surprise that women preferred to stay in private homes when traveling. Using cups and spoons for measuring portions were created in Taverns instead of using the British system of scales to serve customers faster; first fast food in America. Taverns often served as the local post office. Alcohol was served with all meals because water wasn’t considered safe to drink. The music for the Star Spangled Banner was originally used for a patriotic English tavern song. The local tavern was where you could catch up on the local political news and gossip. For more information about NC taverns, read Inns and Taverns from NCPedia.com.